The following is a statement composed by MacPIRG (Macalester Public Interest Research Group) students and delivered to Vice Presidents of Finance at Macalester, Patricia Langer and David Wheaton. It outlines the larger goals and immediate objectives of our campaign for a $15/hour wage for all work on campus. We, a growing coalition of Macalester students, alumni and staff, have observed in recent years a fundamental erosion of the power of labor and the well-being of workers across the United States. This erosion is the result of constant assaults against the value of low-income individuals, in the form of depreciating real wages, removal of benefits and destruction of job security, among other tactics. Simultaneously, the right and ability of individuals to organize and advocate for themselves has also sustained powerful institutional and populist backlash. We recognize that this war being waged against working class people is greatly impacted by racist, transphobic and sexist structures that together disadvantage poor folks, people of color and women. This inequity has not lessened in decades. As the power of working class individuals diminishes daily, financial and political capital becomes increasingly concentrated in the hands of prosperous individuals and institutions. We submit these larger observations to the institution of Macalester College both because we refuse to ignore its role in systems of inequity, but also because we believe in Macalester’s ability to positively combat these injustices. We support many of Macalester’s often-repeated values, especially its commitment to responsible global citizenship and positive membership in the local community. Most significantly, we affirm Macalester’s mission to create a progressive and involved student body, but also firmly believe that Macalester as an institution can and should reflect such values in its own actions. As such, we understand our role as members of a broadly envisioned Macalester community, to hold the institution that connects us responsible for upholding the values that connect us. This campaign reflects this community’s commitment to fair and transparent relationships with labor on Macalester’s campus. At present, however, we perceive Macalester as largely complicit in the broader economic and social forces currently disarming workers of their power and living standards. At present, many workers on Macalester’s campus earn less than a living wage and possess little job security. These, and other conditions make for an economic environment at Macalester we believe to be in contradiction with the values of its constituents. In response, we advocate for a few fundamental policy shifts as a place to start: $15 an hour for all workers on Macalester’s campus, financial transparency from the administration regarding policies towards labor, and fairness when dealing with labor on campus. We know these expectations are hardly the norm, and realize that conditions for laborers in many other places are quantitatively worse than here. We cannot, however, ignore fundamentally unfair and exploitative practices on our own campus, even as we recognize, and Macalester encourages us to recognize, such practices elsewhere in the world. 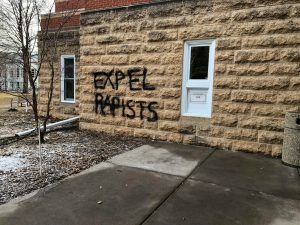 A public image of Macalester as a progressive institution, and the existence of more exploitative practices elsewhere do not excuse unjust policies in our own community. Conditions can get much better on campus, and this statement comes at a time we feel is especially opportune for change. As Macalester’s current dining hall contract expires after the 2018-2019 school year, Macalester possesses a unique opportunity to advocate for some of the most vulnerable employees on its campus in its next contract. 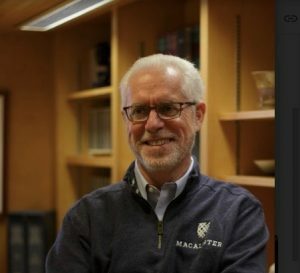 Such steps would materially benefit many individuals, as well as signaling the value of subcontracted employees on campus as integral members of the Macalester community. To begin the process of making Macalester a more just institution we offer the following agenda, and look forward to working with the administration on making possible its implementation. Public forum on the conditions of, and policies towards, workers at Macalester College and status of the upcoming contract negotiation with Dining Hall providers. We envision this forum as a town-hall-style meeting open to the public, in order to increase administrative transparency and inform Macalester students, faculty, workers, and community members on the policies towards workers (including subcontracted workers) on campus. We hope that this meeting enables the entire Macalester community to hold Macalester College accountable in the upcoming contract negotiation with the dining hall providers. All subcontracted workers to be paid at least $15 dollars an hour following contract negotiation with future dining hall providers. Both contracted and subcontracted workers are essential to the everyday operation of Macalester College. As such, Macalester College should hold ethical employment standards for contracted and subcontracted workers. Student representative on the contract negotiation council. A student (or other non-administrative affiliate) must be present during the negotiation meetings as a non-participatory sitting member of the council. This is to ensure that the needs of the subcontracted workers are recognized and included in the contract. We feel that this is a necessary step to ensure transparency throughout the negotiation process. Macalester administration must increase its financial transparency. Macalester must make the details and documentation concerning contract negotiations, employment practices, and other business agreements public knowledge. This information must be available in a public (or easily accessible virtual) space, and requests for these documents or information must be delivered in a timely manner.